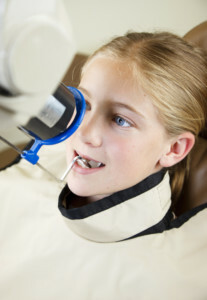 Here at iGrin, your Boiling Springs and Spartanburg Dentist for kids, we want to make it easy and convenient for you. Specially during an dental emergency! Your child just had a traumatic experience and broke a tooth during the incident. I’m sure you have a lot of questions that are running through your mind. We take an x-ray of the broken tooth to make sure there are no hidden surprises. Well worry no more because our IGrin dental team are experienced and know exactly what to do when a dental emergency presents itself. Our professional dental team not only have the knowledge to help your child but are also passionate about what we do. Dr. Basher loves working with children and has a reputation for being gentle. We love being able to work with children because they bring so much light and joy to our office. We hate it when they come in hurting and scared but, if we can be a part of making them feel better, it is our privilege to be able to offer that to them and their parents who are usually just as scared. What will happen to the broken tooth? If your child has broken a tooth, most of the time it can be saved. We will do everything we can to help save your child’s tooth, specially if it is a permanent tooth. Sometimes if a broken tooth has a slight chip, we can restore it with a tooth colored filling called composite resin. However, if a tooth is broken badly enough and cannot withstand the pressure of chewing, a crown will be recommended. This will give your child a new tooth that will last and will be just as durable as their original tooth. Cosmetically pleasing and natural-looking: crowns can be made from a tooth-colored composite resin or porcelain depending on the situation. It can and will be made to look like an original tooth down to the correct shade and no one will even know that it’s not the original tooth. Stain resistant: porcelain crowns (mainly used for permanent teeth) are stain resistant, making porcelain a superior choice for dental prosthetic. Supports a tooth: a crown supports a tooth that has been badly damaged by trauma or tooth decay. Protects from sensitivity: a broken tooth can be sensitive to temperature. A crown will help insulate the tooth and can help prevent sensitivity. Your child’s comfort is our top priority! Emergency dentistry is rare but when it happens, sometimes it is a matter of minutes to solve the problem. Often times, especially with kids, they are scared and we want to alleviate the suffering as soon as possible. To help calm them down during the procedure, we will offer nitrous oxide and will work as quickly as we can so they won’t have to sit in the chair longer than they have to. An extensive exam with the doctor will determine what needs to be done. We strive to be the go-to emergency dental clinic because we truly care for people specially when they are in pain. We want to help heal them as soon as possible with as much comfort as possible. If you have a dental emergency, contact us today!